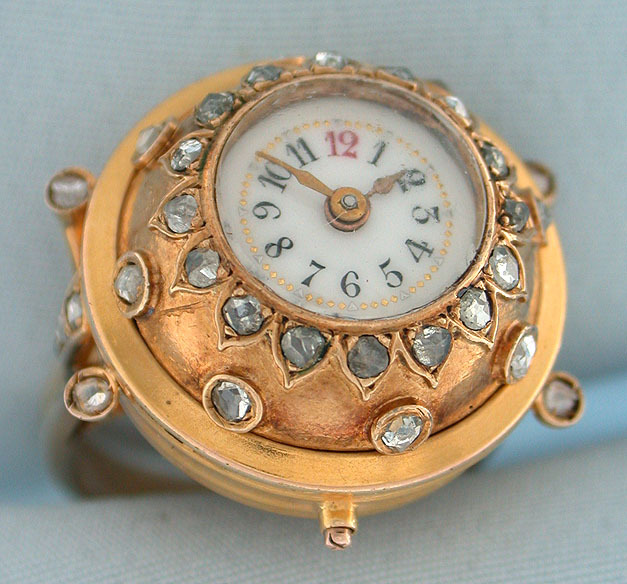 Fine beautiful and rare 18K gold and diamond bezel wind ring watch circa 1880. White enamel dial with black and red numerals and gold and silver minute markers. 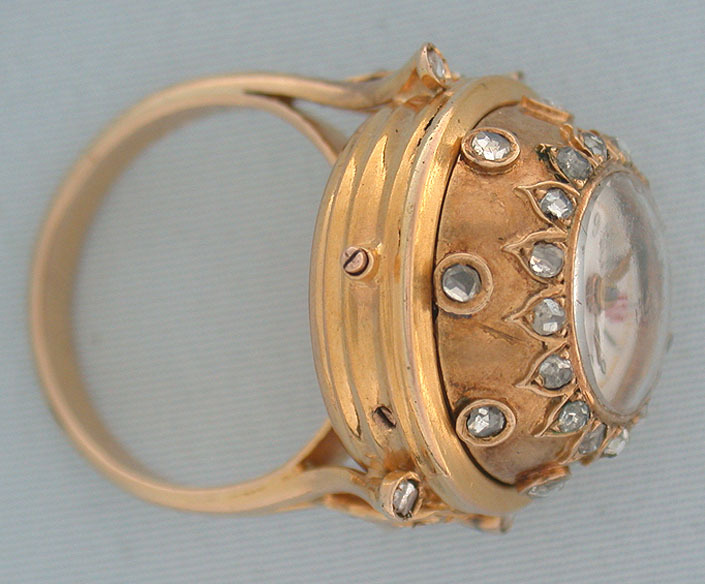 The case set with rose diamonds. 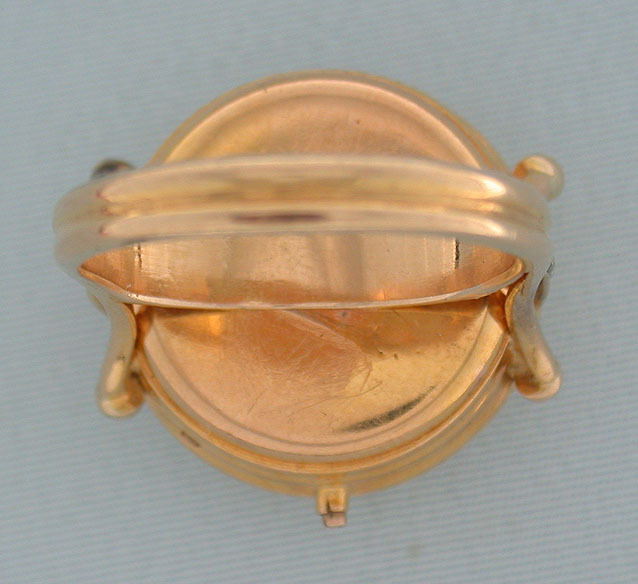 Gilt 10 jewel cylinder movement that winds by rotating the bezel. 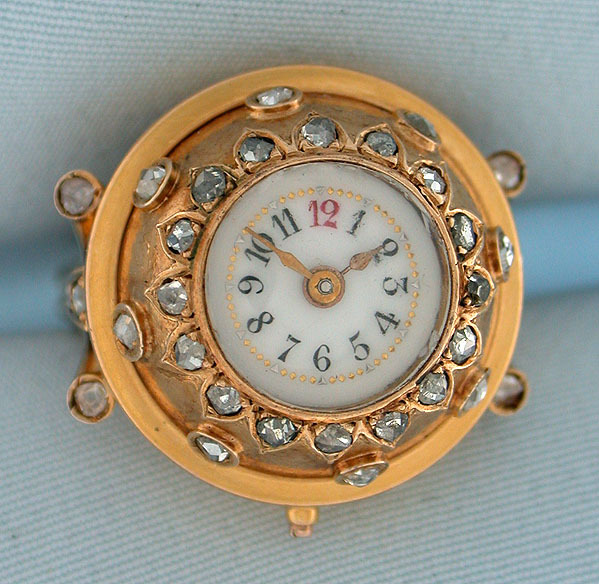 We have seen this arrangement with ball watches but this is the first ring watch that we have seen with this design.